From the cool summer breezes that come through the window in the middle of the night to the frigid days in the middle of December, a quality pair of pajamas will ensure that you feel comfortable no matter the occasion. 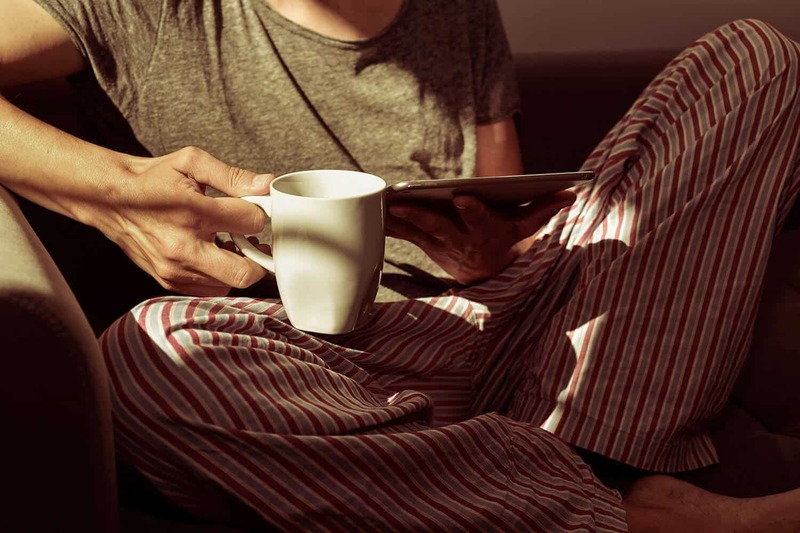 But not only will pajamas make you feel incredibly comfortable, they will also be functional allowing you to enjoy those lazy Sunday mornings around the house sipping coffee and catching up on the latest political shows. 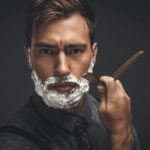 From shorts to long sleeved options, we outline below some of the best men’s pajamas that will not only feel downright comfortable, but will also last for years given their incredible attention to detail and high quality design. Many people look for convenience when selecting clothes. Easy to get in to, easy to get out of, and easy to wear are all criteria that makes or breaks an outfit. Your pajamas should be no different. Every detail should be tailored to suit you, even if it’s off the shelf. The Calvin Klein pajama set is convenient and comfortable for lounging around the house or for sleeping in. The top is a plain long sleeve t-shirt that is made of a lightweight material. The pants are also very breezy, and have a drawstring to keep them up without being complicated to undo. The look of the set is similar to a standard pant and t-shirt arrangement. The majority of the price comes from it being a Calvin Klein product. Despite this, the set is a classic take on lounge wear, and makes a great gift for those people who want a higher end pajama set in their wardrobe. 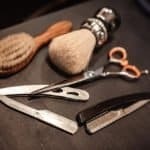 For what it’s worth, you would probably be better off getting something cheaper, but it is a good quality set that looks good and feels good on you. Both top and bottom pieces are made from 100% cotton for a luxuriously soft feel. Classic pajamas have never looked so good. The Alexander Del Rossa line of casual pajamas offer a variety of features that will help you sleep at night. For starters, the top is short sleeved, and has a pocket on chest for all of your little knick-knacks. The pants are actually shorts, and offer a wide leg to allow you greater movement for lounging and sleeping in. 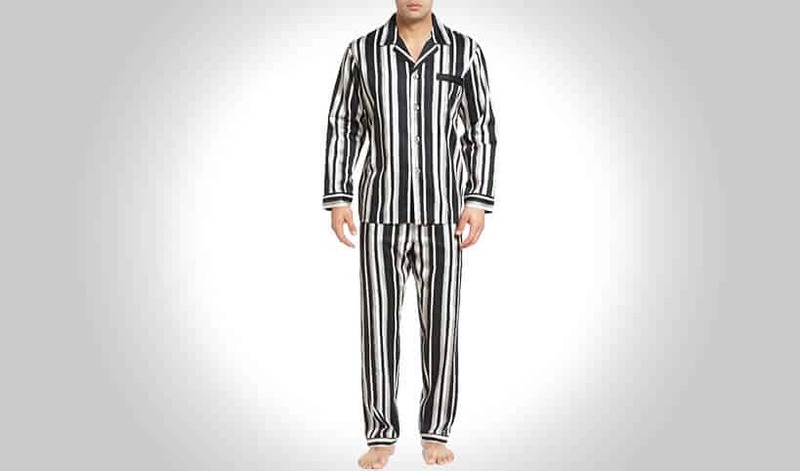 Both halves of this pajama are accented by white piping to really bring home that traditional feel. These pajamas are made from 100% cotton, ideal for letting your skin breathe through the night. Because of their light weight, these would make great pajamas during the summer months. Customize your look with a wide selection of colors available to order, such as classic taupe or blue, or you can go bold with a navy blue and red plaid patterned look. Whatever you decide to decorate yourself with, know that it is durable enough to be machine washed and dried. Cold water wash will help prevent shrinking, but the shirt is nicely long and loose fitting, so if it does shrink an inch, it should not be too noticeable. This is a perfect gift for yourself or someone you know who has trouble sleeping due to warm weather. If you prefer traditional looking pajamas over the “tee and sweats” that seem to be permeating the market today, the Geoffrey Beene stripe printed pajama set is probably what you are looking for. This short-sleeved set is ideal for people who want something light and breezy to wear, and does not impede movement when doing daily activities such as stretching, sitting down, or lounging. These pajamas are made of a 55% cotton, 45% polyester blend, which is a lightweight, breathable fabric that does not wrinkle as much as a 100% cotton shirt may do. The top to this pajama set features a deep V neck, and is fastened by a full-length button down strip to keep the shirt from opening. It is also short sleeved, which allows your arms room to move without the cuffs rising uncomfortably. The pants are full length and cut a little looser to allow for a greater range of motion while lounging. The classic striped pattern is a timeless design, and will remain in style for years. When purchasing this product, buyers do say that it fits fairly true to size, which is ideal for fitting a wide array of shapes and sizes. It is also extremely reasonable in price, which will make frugal shoppers very happy. Flannel is ideal during the cooler months of the year, and keeps you warm without being too thick. 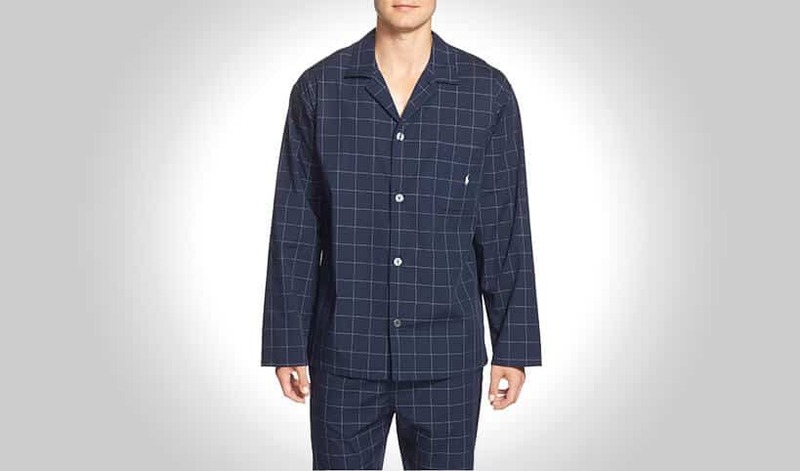 The Hanes flannel pajama set incorporates flannel pants with a long-sleeved cotton top to give you the most comfortable sleeping attire at an affordable price. The crew neck top is baggy around the torso, and the polyester makes the shirt very elastic. However, it is slim enough that you aren’t swimming in it when you sleep. 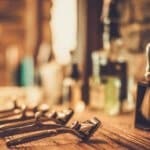 Because it is cotton, some shrinkage in the width and the length is to be expected, but wash in cold water to prevent it from shrinking too much. The pants are made from 100% cotton flannel and are very thin. Because flannel is often associated with fall and winter months, some people may expect this product to be thick, but the thin fabric ensures that you can wear it all year long without issues. As an added bonus, these pants come with deep pockets for those who really need pockets to put their hands in. Care should be taken when washing this product, as shrinkage is common in hot water cycles. For best results wash in cold water on a gentle cycle to preserve the stitching and the length. This pajama set, made of cotton and modal, is a stylish way to spend your sleeping hours. 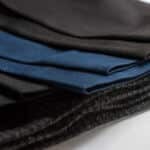 Modal, for those who are unfamiliar with the term, is simply a type of rayon fabric. Rayon is made from tree fibers, and gives clothing a loose, flowing feeling. Modal in particular is made entirely from beech wood, and further processed with various chemicals to give the clothing its signature feel. The result is a soft, luxurious feeling article of clothing that drapes over your body like a hug. The HUGO BOSS pajama set does drape and flow, and is extremely soft thanks to the fabric blend. It is a little slippery, so people looking to fold this set in their dresser may experience some issues. Other than potential folding problems, sleeping in this set feels very nice. It is almost silky with a side of cotton; a little slippery, but otherwise very comfortable. The pattern on the top is a little busy, but it does go well with the pants to create a well put together sleeping set. The pants are very plain, but feature a snap-button fly which makes late night bathroom trips extremely easy. Machine wash this pajama set in cool water for best results and less shrinking. Pajamas should not be constricting, nor should they be too loose. Great fitting pajamas don’t wrap around you as you toss and turn, a problem for many people who have ill fitting sets. The Majestic International Cotton Pajama is simple as it is comfortable, with no fighting out of your clothes in the morning. This simplistic set suits all weather wear, and the classic pinstripe design is a timeless style. The shirt and the pants are both cut to allow room to move around, but not so much that you end up cocooning yourself at night. The pants have a standard inseam of 31 inches, and the arms have the same length when measured from the shoulder. 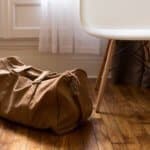 Depending on how you are built, these measurements could vary in fit. 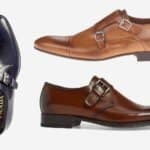 Thankfully, if they are too long, they can always be tailored, but tall gentlemen may have problems with the legs or arms being just a touch too short. Because this set is cotton, always wash in cold water to minimize the amount of shrinkage. Some shrinking is expected, and there is no avoiding it. If the shirt is just barely long enough, you should consider a different style or size. This pajama set is perfect for all year round, and many customers expressed satisfaction with the style as well as the fit. 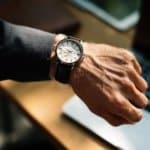 Different extremes of weather call for different types of clothing; in the summer, you may prefer shorts and a tee, while the winter calls for long sleeved sweaters and thick woven jeans. If every season is deserving of its own outside wardrobe, it is only fitting that you change up your sleepwear as well. For nights that are too hot with pants and a tee, and too cold in bare nothings, the Majestic International Shorty pajama set is a cool compromise between both options. This set features a light blue button down short sleeved shirt that is fit to be breezy, and it is paired with classic cut shorts of the same material. Both pieces are made of a blended 60% cotton and 40% polyester to help keep this set cool. 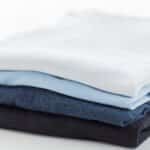 The best thing about a cotton/polyester blend is that you do not have to worry so much about shrinking. Of course, washing this article in hot water will cause the material to shrink or deform, but if you wash in cool water, especially for the first few washes, the shrink is almost negligible. This kind of material is also designed specifically to be breezy, allowing body heat to escape while letting cool air in. Overall, it’s a classic set that will serve as a perfect go to for the summer months. Nothing beats a comfortable pajama set. Pajamas help regulate body temperature, keeping you cool in the summer months and toasty in the winter. Of course, the material that the pajamas are made of goes a long way in helping achieve the perfect sleeping temperature. Majestic International’s Winslow pajama set is made of smooth sateen cotton that is lightweight, but is still comfortable year round. Sateen is especially known for being relatively wrinkle free, though this product is not listed as such. The shirt is decently long at 30.5 inches, enough to cover even long torsos. The pants are 31 inches at the inseam and rise in the front about 13 inches, which makes them suitable to fit the average man. If you discover that the pants are too long or too short, adjust the waistband of the pants to sit around your waist. 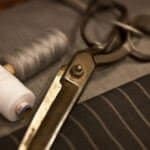 Inseam is a tricky measurement that is not entirely accurate to every body type, and it changes drastically depending on where someone wears their pants. Men who wear their pants below their stomach may find the pants are too long, while men who wear them over the waist may find them too short. Taller men may have problems with these pajamas as they are not available in tall or extra-tall sizes. For long lasting pajamas, cold water wash and a gentle tumble-dry will keep your pajamas looking fresh. The best pajamas are ones that can be worn for years. They become the favorite pajama, the go-to when you know laundry is well overdue. The kind of pajama that you can just sink into and feel like yourself; no rules, no deadlines, just you and yourself doing what you do best. The Nautica T-shirt and pant pajamas are the embodiment of that comfort. Made from 100% cotton, these pajamas allow your skin to breathe throughout the night, and are light enough to wear even in the summer time. The comfy tee and the plaid pants are ideal for all around weather, from the hot, humid summers to the bitterly cold winter. The tee is plain black, but is embroidered with the Nautica logo to ensure that you are getting an authentic and quality made product. Because both the top and the pants are made out of cotton, cold water wash is best to prevent/minimize shrinkage. This will also help preserve the color and prevent fading over the course of the clothing’s life. 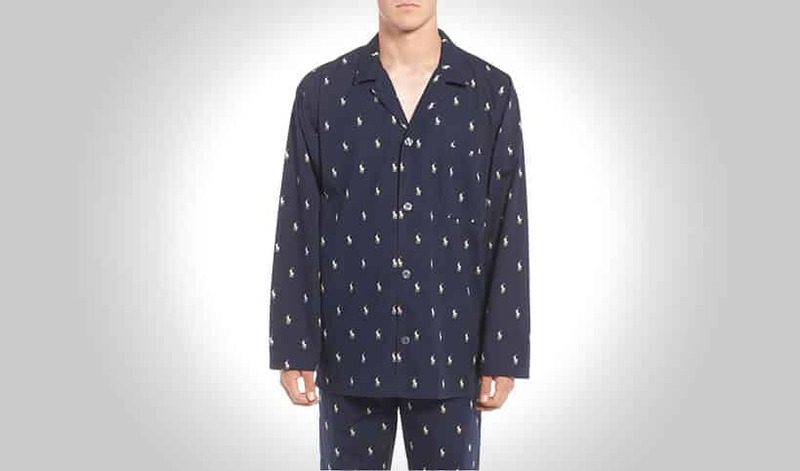 Nautica is well known for their clothing line suitable for the great outdoors, but you will find that they also make ultra-comfortable sleepwear fit for nights on the open ocean. Being able to feel good in your sleepwear is just as important as feeling good in your daily clothes. When you are comfortable in what you are wearing, it goes a long way to ensuring that you have a good, restful sleep all through the night. Papi pajamas are designed to be comfortable and stylish, so you can look good and feel good while lounging around or sleeping. The pants feature an elastic waistband as well as elastic bottoms to keep your pant legs from flopping around. Of course, this does make the bottoms very narrow, and this style may not be good for people who suffer from diabetes. The pant legs are loose around the thighs, but they are still rather slim cut. The black and red trimmed top features long sleeves and three buttons near the neck. If a crew neck is too tight, opening the buttons will allow you more room to breathe comfortably. The shirt is slim fitting, and in some cases, does run small. The pajamas are made of an ultra-soft cotton that feels good and fits well across the body, making sleep a luxurious experience. Both the pants and the shirt also a considerable amount of give, which is nice for people who tend to toss in their sleep. Pajamas should be comfortable to wear throughout the year, but many pajamas are strictly seasonal; silk sets tend to do better in the summer months, while flannel is a winter weight fabric. The compromise is cotton, which regulates body heat better than other pajama cloths. The aptly named “Polo Player” pajama top by Ralph Lauren may not seem like much, but it goes a long way to ensuring that you are comfortable all through the night. This top is made from 100% cotton, so it is easy to wash and wear. The pajama is patterned with the Polo logo all over, which is a classic and reserved look. The top buttons right down the front, which makes it easy to put on and take off as you need it. There is a chest pocket available for those who like to put things in their pockets, and a notched collar for style. The sleeves are also longer than other pajama shirts, so even if you are tall you should be able to fit easily inside this shirt. However, there are limited sizes, ranging from a Medium as their smallest to an X-Large at the biggest. If you are an extreme on either end of the spectrum, chances are that this shirt won’t be a great fit on you. Comfortable cotton pajamas are great to sleep in, and even better to wake up in. Finding the right pajama set for you may be tricky, due to the hundreds of different styles out there. Some are too thick, others are too silky. However, the Ralph Lauren woven pajama top is a perfectly tailored cotton top that suits all seasons. This top is a regular cut, which gives it a little more room in the chest and waist, because pajama tops don’t need to flatter your figure. They just need to fit and be comfortable. Washing this top is easy; because it’s made out of cotton, you can simply throw it in with your other clothes without worrying about ruining the fabric. For best results, you will want to wash in cold water to minimize shrinkage. This top features a classic windowpane design. The white lines are very visible, but are fine enough that they don’t look tacky. The color itself is a dark navy, so for the first few washes you may want to separate it from your light clothes to prevent the color from bleeding over. There is a pocket on the front of the shirt emblazoned with the signature Ralph Lauren Polo symbol, so you know you have the real thing. Buttons down the front of this shirt ensure that it is easy to put on and take off all year long. The classic tee and sweatpants have been used as pajamas for as long as tees and sweats have been around. It’s a comfortable and familiar alternative to button down pajama sets, and are usually made out of long lasting fabric to withstand years of wear and tear. Reebok is most well known for their athletic wear and shoes, articles that are meant to last for years of use. Their pajamas are no exception, and this particular pajama set is designed for freedom of movement. It is 100% cotton, with allows your skin to breathe through the night, an essential function when trapped under layers of blankets for body heat regulation. The tee shirt fits loose around the body, enough so that when you bend or stretch, you do not feel constrained or limited in any way. The short sleeves ensure that they are always the perfect length; no more wondering if sleeves are going to sit at your wrists. The pants are also made from cotton, and are loose fitting around the legs to allow optimal motion when walking, sitting, and stretching. This pajama set is all about comfort for whatever you need it for. It’s also reasonably priced, which is a bonus for people looking for brand name products without breaking the bank. Fans of the popular TV series “How I Met Your Mother” will recognize this pajama set immediately. This silken pajama set is the perfect novelty gift to give the TV fan in your life, or you can buy it for yourself as a conversation starter. The amazing suitjama pajamas comes with four separate pieces: the pants, the jacket, a white button down shirt, and a tie. The suit is made from a blend of cotton and silk, making the material very light. For fans, this is the ultimate pajama experience. Of course, four separate pieces to put on for the sake of novelty is rather impractical every night. The pants have working pockets, and the suit jacket emulates a regular suit almost perfectly. The tie is designed with sleeping in mind, though having a long loose end may be unappealing for some. The Suitjamas come in three distinct colors: blue, black, and grey. While they are good for a fun novelty gift, the effort of putting this pajama on night after night may see the thrill die off very quickly. These pajamas have a fairly average fit. Because they are not tailored specifically to your body like an actual suit is, there are going to be some extremes. A pant that fits you extremely well may mean that the jacket is too tight. Alternatively if the jacket is very loose, the pants may be even more so. Thankfully, the company offers exchanges to ensure that you are happy with your purchase. Pajamas are so much more than just sleeping clothes. They’re the end to a long day, when all you want to do is sleep. These Tommy Bahama pajamas are one of the best ways to go to sleep. Made of 60% cotton and 40% polyester, they are lightweight, yet warm, and the long sleeves and pants are sure to keep your temperature stable throughout the night. The top features fleece shoulders which do not overheat you at all. They are simply there for looks and comfort. The overall fit of the top is slightly fitted, so for sizing purposes you may need to go up one to ensure it fits. The pants are also long, and have an elastic waistband and string. This ensures that your pants fit to you, not the other way around. There is nothing worse than having pants that are too loose, and they slip off in the middle of the night. Worse still, fighting at 3 am to go to the bathroom. These are the effortless pajamas that work for you. The color is also very nice; the steel blue top and complementary pants are nice on the eyes. The only stipulation may be the price, but it is only because it is a Tommy Bahama product. It is a quality product, and you should get a few years use out of them before they have to retire. When winter rolls around, you want warm articles of clothing to keep you warm both during the day and at night. What better way to do that than flannel. The Woolrich Fireside Flannel Pajamas are perfect for those cold chilly nights, when the snow is blowing against the window. Made from 100% cotton, these are pants that will allow your skin to breathe while also keeping you toasty warm should you slip out of the covers. The classic black long sleeved top goes with anything, but it is especially striking against the bright red plaid of the bottoms. The long sleeve top is made from 6 oz cotton suede heather, a quality material that is designed to retain heat longer than regular cotton. The pants are mid-weight cotton flannel, and come with a full elastic waist and a button down fly. This ingenious design makes late night trips to the bathroom incredibly convenient. Washing this set is worry free, as they come pre-shrunk for your convenience. Even if they did happen to shrink, these handsome pajamas are a decidedly roomy fit, and may even run large depending on your build and stature. Overall, these are a great quality choice for an affordable, comfortable pajama.